10 fantastic assembly songs to celebrate the wonder, creativity and uniqueness in all of us. Inspiring personal development through singing! Available with Words on Screen™ v2. 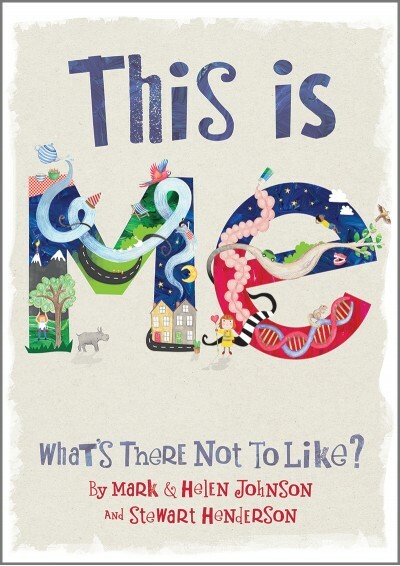 Out of the Ark Music has a brand new assembly songbook This Is Me, by Mark and Helen Johnson and award-winning poet Stewart Henderson. This utterly inspiring, and totally unique songbook helps to unpack the diversity, wonder, creativity and uniqueness in all of us. It features 10 fabulous new songs in a mix of musical styles and themes covering key areas of PSHE, helping pupils to develop the knowledge, skills and attributes they need to thrive as individuals. 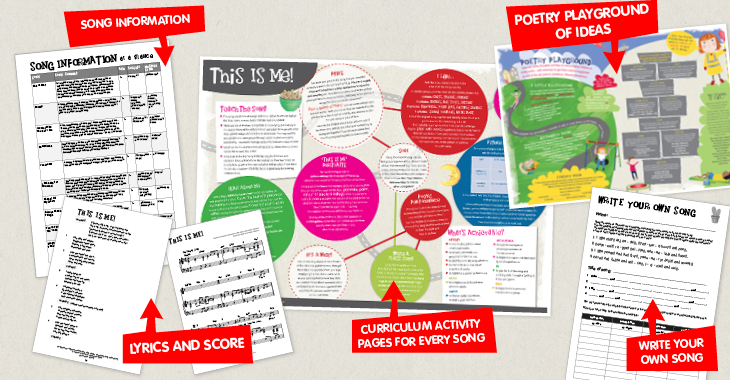 To help unpack each song, the book includes music score and lyrics – tailor made for performing – but also activity pages with teaching tips and fun ideas for every song to embed learning across the curriculum. 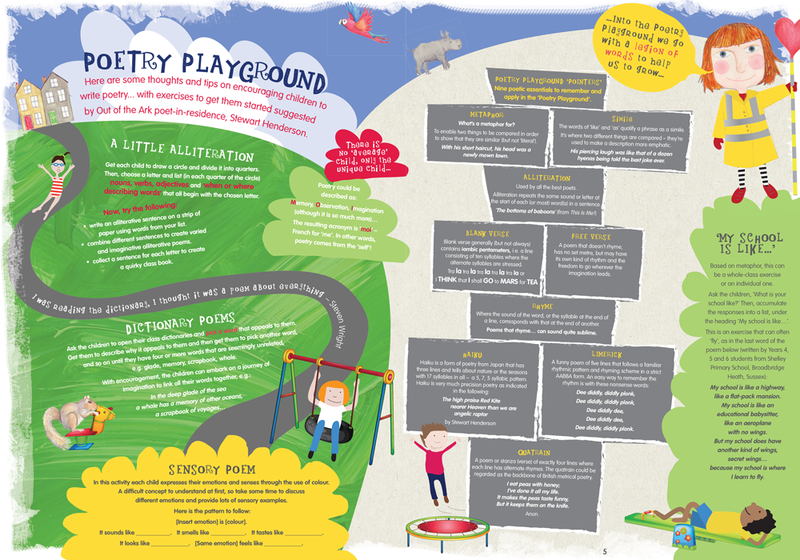 It also includes poetry teaching ideas that help to make poetry exciting and accessible. A perfect resource to help children to develop self-awareness, self-confidence and self-acceptance all through song! 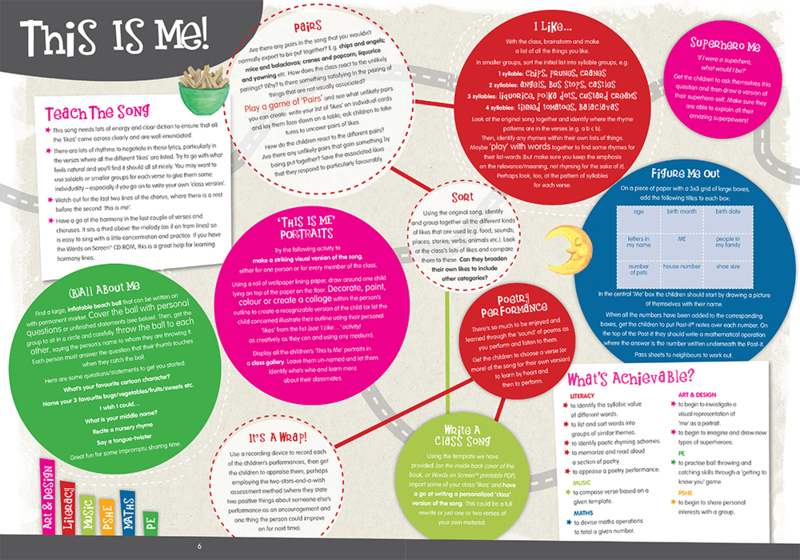 for a whole host of PSHE ideas! A note from Mark Johnson, one of the authors: "The combination of working with Stewart Henderson and Helen Johnson provided just the right ingredients to create this unique offering. 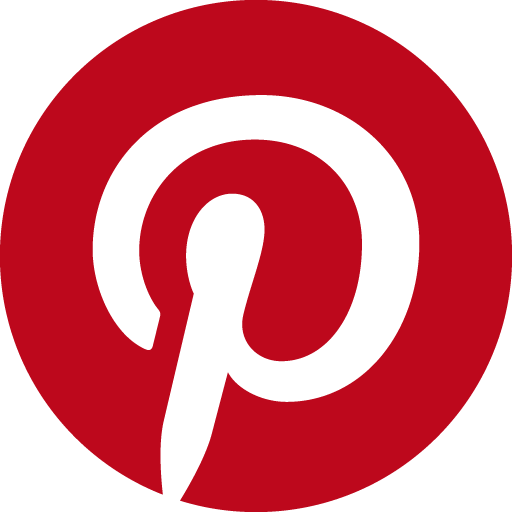 The varied themes are boldly and positively addressed in an accessible and inclusive way. Every school should own a Words on Screen™ version of this indispensable and hugely enjoyable resource!"